Whether you are new to Android and eager to try out every available option you see on the screen, or familiar with the system, including the annoyances that plague you on a daily basis, tips and tricks to get around a system is always helpful. We are here to help you with that. 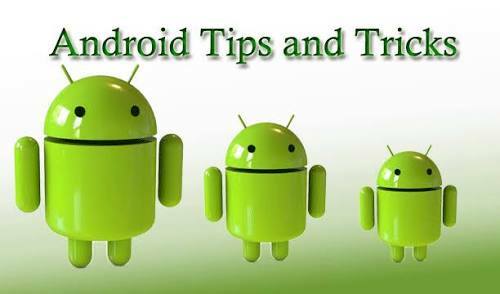 In this post, we are featuring 10 useful Android tips and tricks that mayimprove your experience while using your Android device. Do note that the steps may vary a little from one Android phone to another due to the differences in the build and the OS version, but if you play around with it, the next step isn’t too far off. On any of your unwanted notifications in your notification bar, long press on the notification for a message box to appear. Going to Settings > Data Usage. Disable Mobile data by toggling the setting from ON to OFF. Want to keep track of how far your usage is from your monthly mobile data limit? If you have ICS and above, there is a feature which lets you keep track of how much of the quota you have left. Set your data limit by dragging the orange line to reflect your monthly quota. Set your data usage cycle based on when your "month" starts and ends, and you’re done. You will be alerted once you hit the limit you have set. Note that the tracked data usage of your phone may vary slightly than your carrier’s tracking. Once added, choose what you want to sync with the account. Repeat all the steps above if you want to add more accounts. Open Play Store and head over toSettings. Choose Do not auto-update apps. If you want to enable the auto updates, follow the same path and choose Auto-update apps at any time or via Wi-Fi (available for certain Android devices only). To update your apps manually, just openPlay Store, and on the main page swipe in from the left and tap on My apps. You can tap on apps with pending updates and update them manually, or if you like to update them all at once, just tap onUpdate All. Tap Check now to look for system updates. Go to Settings > Apps. Swipe right and look for the All tab. Select the app you want to remove as default. Once you have a lot of apps installed, your homescreen might be filled with app shortcuts. Unlike the app drawer, the apps on your home screen are not arranged alphabetically. So, you might want to create some folders for your homescreen shortcuts. Assuming you have more than a handful of shortcuts already on your homescreen, long press on any of the shortcuts and drag it onto another shortcut. A circle should now appear around the apps, indicating that a folder has been created. By tapping on the newly created folder, a mini window will pop up with your apps in it. You can drag and drop additional apps into the folder if you like. You can alsorename the folder by tapping on the text area at the bottom of the mini window. Here’s a tip on how to make your Android device run a bit smoother: disable its animations. You will need to have access to Developer Options which can be found under Settings or About device. Note: For some phones, you may need to go to Build number and tap on it repeatedly until you see "You are now a developer!". Developer options are now enabled. Under enabled Developer options, look for Window animation scale,Transition animation scale, andAnimator duration scale. Then, turn them off (disable) them one at a time. Hate the fact that your phone is going English teacher mode on you? Turn off auto-correction for peace of mind when texting. Tap on the settings icon next to the keyboard that you are using, e.g. Google Keyboard. Look for Auto-correction and tap on it. Select Off to turn auto-correction off.